Do any human beings ever realize life while they live it? -- every, every minute? No. ... The saints and poets, maybe -- they do some. Photo: Fr. 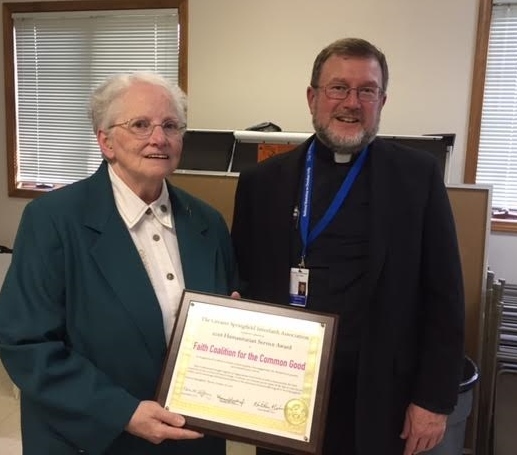 Kevin with Sister Linda Hayes, O.P., recipient, on behalf of the Faith Coalition for the Common Good, of the 2016 Humanitarian Service Award of the Greater Springfield Interfaith Association, at annual Welcoming Banquet, Tuesday, October 18, 2016, Islamic Society of Greater Springfield. Photo courtesy of Martin Woulfe.